(Bass Builders). 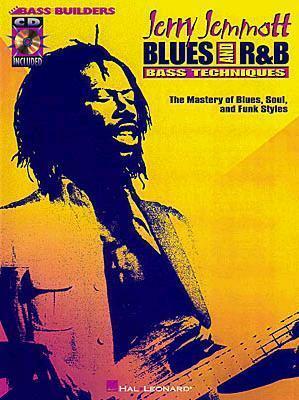 Jerry Jemmott wrote the book on R&B bass, and here it is! This book/CD pack examines Jerry's personal philosophy of music and teaches the secrets to mastering blues, soul and funk bass. Includes a CD with new compositions that demonstrate the techniques he used with legendary performers such as Aretha Franklin, King Curtis, B.B. King and Freddie King. Includes note-for-note transcriptions, comprehensive perfor-mance notes, an in-depth bio, and rare photos.